The Federation of Indian Association in collaboration with Colors brought forth the 34th Annual India Day Parade in New York City. 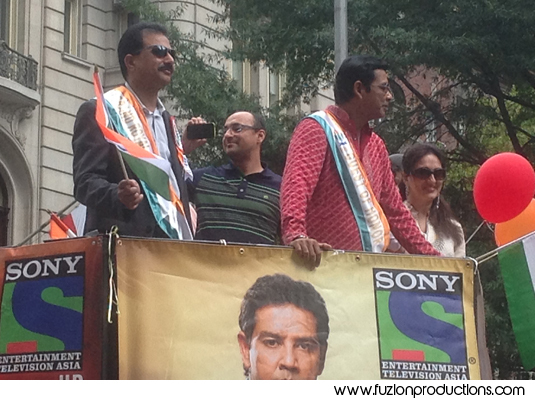 The parade was filled with Desi pride, amazing food, the vibrancy of India and Bollywood and television stars. Among all the glitz and glamour were Bollywood Grand Marshall Sunny Deol, Raveena Tandon, Zareen Khan, Television Personalities Anoop Soni and Manav Gohil. The event took place on Sunday August 17th, 2014 on Madison Avenue between 39th street and 24th street. Fuze was present at the event to catch the exclusive action.